Falling Fast, which was shortlisted for the Dundee International Book Prize, is his first novel. Try as I might, I can’t identify one single book that I could call my out and out favourite- got too many! I suppose it’s a cliché, but I’ve always loved A Study in Scarlet- found it in the school library years and years ago and was captivated from the first page. I love the language in all the Holmes stories, the sense of place and time, and love to go back to them. From a story-tellnig point of view the stories are masterpieces, short, tight pieces of first-class prose. In more contemporary books, I love Complicity by Iain Banks. It’s a crime novel that strays into graphic violence much like I do, and I think it brings together crime and elements of horror in a really effective way. It was definitely and influence on Falling Fast- a brilliant story with a visceral undercurrent of dread and violence just below the surface. Another writer who was and is a huge influence on me is Stephen King. I grew up reading King’s books, and what stuck with me was the sheer power of the storytelling. You can almost feel the heat coming off the pages in his early works like Carrie and the Dead Zone, see him hammering away at the keyboard as he tries to get the story onto the page. And, again, his power of description, especially in the horror and visiting it on the most mundane situations, is brilliant. 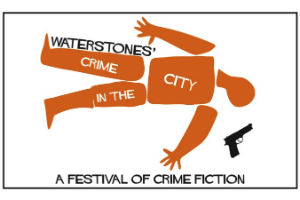 Throughout June Glasgow branches of Waterstones are presenting events with some of your favourite Scottish crime writers, perfect to get you in the mood for Bloody Scotland in September. The full programme is below and all tickets are free and available from Glasgow branches of Waterstones. John Gordon Sinclair’s ‘s first book was described as ‘a remarkable first novel’ and ‘an impressive debut…fast and bloody’ by The Times. 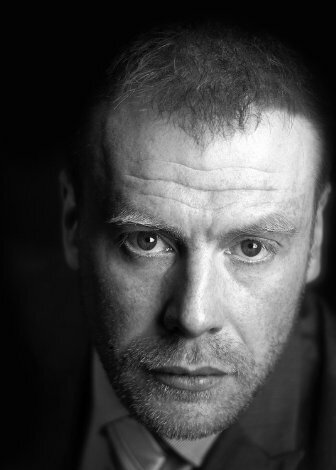 Please join us as John introduces his second, Glasgow based, crime novel Blood Whispers. A panel event with Caro Ramsay, Sara Sheridan, Will Jordan and Nicola White that will look at character/setting/plot and which of these elements drives each author. A panel event with Craig Robertson, Simon Sylvester and Alex Gordon where they will be talking about their latest books and examining why crime writers are fascinated by the Island setting. A panel event with a plethora of crime writers; Caro Ramsay, Douglas Skelton and Matt Bendoris representing the good coast…sorry the west coast and Doug Johnstone, Frank Muir and Neil Broadfoot representing the East. Please join us as best selling author James Oswald introduces Dead Men’s Bones, the fourth novel in his phenomenal Inspector Mclean series set in Edinburgh. Enter our fantastic short story competition and have the chance to see your work published on Simon and Schuster’s crime website TheDarkPages.com and receive a £100 Waterstone’s Gift Card! 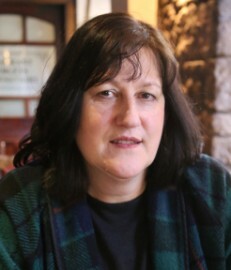 The competition will be judged by three Scottish crime writers; Lin Anderson, Craig Robertson and Russel McLean, who will also be representing Waterstones. Entries should be emailed to events.Glasgow@Waterstones.com and marked for the Attention of Caron. Please make sure your contact details are included with your entry. I have really enjoyed this series so far and was really looking forward to reading the next instalment after I finished screams in the dark last year. And from the moment I first starting reading the first few chapters I knew I was in for a real treat and it took me no time to finish the book and catch up with what has been going on with lead character Rosie Gilmour. Betrayed is the fourth book in the series and we catch up with Rosie after her last investigation, Screams In the Dark book 3, Rosie is now back at work and ready to get stuck in to the next harrowing story and adventure. This time it focuses on barmaid Wendy Graham who goes missing, Rosie starts to delve into it and as usual finds herself in a situation where she may have to take a few risks. 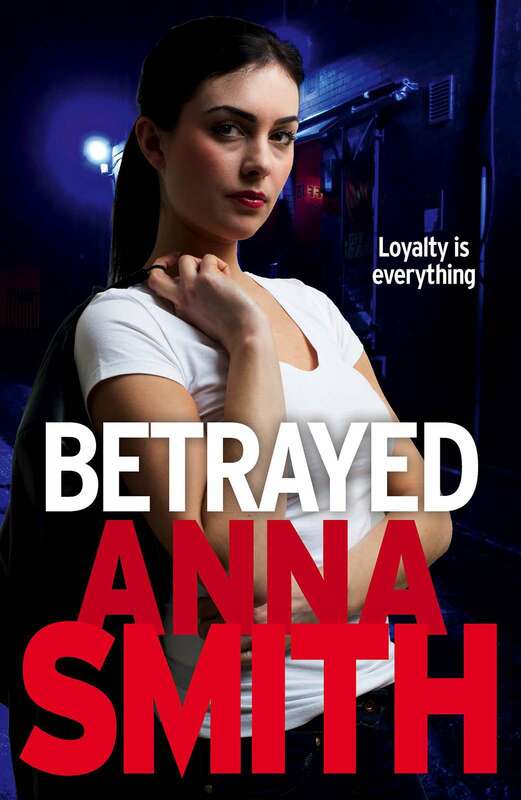 Another major storyline in Betrayed delves into matters concerning Glasgow’s UVF and it’s not a pretty picture.Because when Rosie begins to dig deeper into the UVF, she comes across more people involved in both the UVF, and Wendy’s life will take Rosie into dangerous waters as she searches for a major story for the newspaper. Betrayed like all the other Rosie Gilmour novel s moves the action between two countries Glasgow and this time Spain which keeps the action and the suspense rolling throughout, I can honestly say that this book was a first class read and that it has everything I want from a Crime book and more, Great characters, bundles of drama and the writing is top notch as usual. I absolutely loved Betrayed, I think it is the best Rosie Gilmour novel so far and would suggest if you haven’t read any of them you get started with book one in the series you will not regret it! Who killed theatre director Max Quincey during a run of the play Jack-in-the-Box in London’s West End? Who killed the male prostitutes back in 1985, when the show was last performed and when Max was the star? 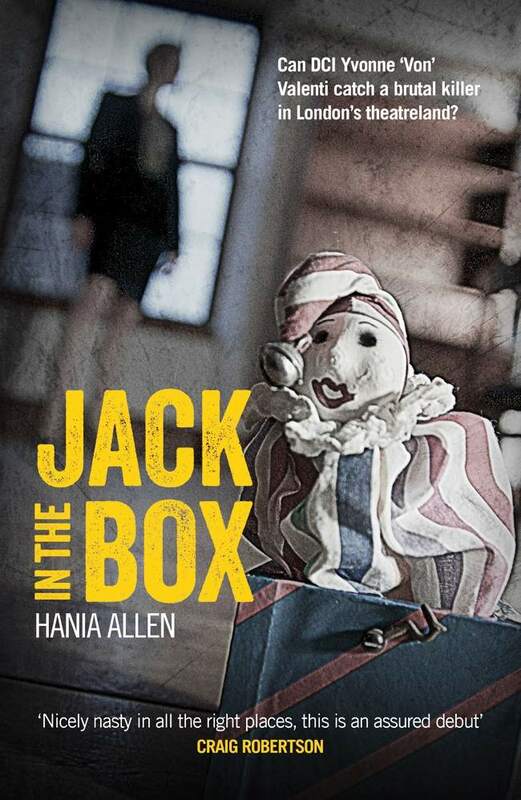 What is the significance of the Jack-in-the-Box doll found with the body, the markings on its eyes matching mutilations to Max’s face, and identical to the toys found with each of the original victims? Has the killer returned? Is it a copycat? Or a revenge slaying for the rent boy murders when Max was prime suspect? The questions are stacking up for DCI Yvonne ‘Von’ Valenti, and her partner, DI Steve English, as she races against the clock to unravel a tangled web of clues, lies and halftruths, to catch a deranged killer before they strike again. Von investigates both cases simultaneously as she battles with a wall of silence and increasingly fractured relationships with the Chief Super, her journalist boyfriend, Kenny, and errant teenage daughter, Georgie. I’m not one of those people who dreamed of being a writer when I was a little girl. I’d thought about it off and on but I decided to give it a serious go only when I went on holiday to the Icehotel. This hotel, in Swedish Lapland, is built entirely of ice. During the day it’s a museum, as there are ice statues in the rooms, but at night it becomes a hotel. There are no doors, just red velvet curtains that cover the entrances to the rooms. As I lay in my survival sleeping bag on a heap of reindeer skins, it struck me that anyone could come in while I was asleep and murder me. The fact that there’s snow on the floor and the walls are made of ice means it would be well-nigh impossible to get any forensic evidence. And the prints from snowboots are all the same and people are hidden under hood and masks. I kept thinking that this would make a great venue for a murder and, when I got back home, I thought, well, why not give it a go? I think the crime genre is fantastic, both for a writer and a reader. 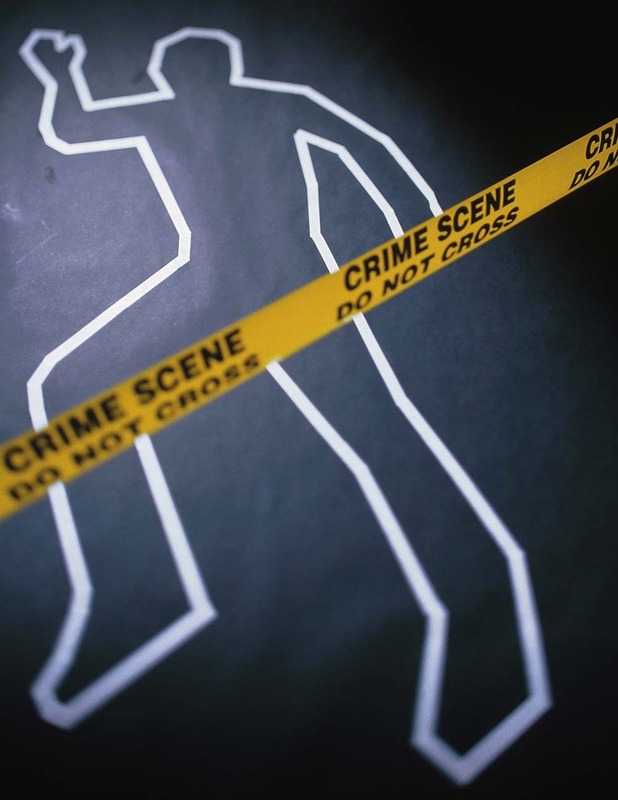 In a crime mystery of the kind that I like to write, the writer needs to lay down a string of clues and red herrings. It then becomes a race between the reader and the writer: can the reader solve the mystery before he or she gets to the end? But it’s a race the reader wants to lose. At the end, the main questions have to be answered to everyone’s satisfaction, but there has to be that final twist that will leave readers going ‘Ah!’ It’s enormous fun to try to create this. It’s hard to say. I’ve never consciously tried to emulate any particular writer’s style, although I’m sure that all the books I’ve read have influenced me to some extent. At school, we were encouraged to read, although there wasn’t the marvellous selection of books there is now. The writer that has stayed with me through my life is probably Graham Greene. He has a quiet prose that is hard to find in books these days. Yes, and I think this is par for the course. Certainly all the advice I was given is that this would be the biggest hurdle to get over. However, I was strongly urged not to approach publishers directly but to find an agent, as some publishers don’t accept approaches except through an agent. Finding an agent can be just as, if not more, difficult, as there are many more people writing these days and agents can take on only so many writers before they start to spread themselves too thinly. A good agent knows the publishing world, what is and isn’t selling, and is able to guide a writer in his or her career. Writing can be a lonely occupation, and having someone on your side can make all the difference. I’ve been extremely lucky in my agent, Jenny Brown. I met her after I went on an Arvon crime-writing course. We had to read passages from novels we were working on, and our tutor, who happens to work in Jenny’s agency, came to me afterwards and suggested I contact Jenny when my book was finished. I sent her the completed manuscript of Jack in the Box, she asked to meet me, and then took me on. It’s thanks to her that Jack in the Box was taken on by the publisher, Freight Books, a young and energetic Glasgow-based publishing house. I have to say that the protagonist, Von Valenti, in my crime series, is my favourite. She’s a woman in a man’s world and has had to fight to get where she is. Her background, working-class East End of London, sometimes helps and sometimes hinders her. But what she has that should endear her to readers is her single-minded conviction that the bad guys should never get away with it. And when it comes to people who have been disadvantaged, she has a heart as big as Buckingham Palace. So, for example, in Jack in the Box, although she is given the case of the murder of an actor, she finds herself drawn more and more to the murders of the rent boys. This puts her in conflict with her colleagues. Its mainly police and forensic procedures, and you have to get those right. I’m fortunate in that I attended a series of talks by two former detectives, who outlined the procedures that police follow, right from attending a crime scene through to prosecution, and even after. There’s loads of information on the Internet about forensics, but I have to confess that I also watch Silent Witness! But as regards the plot, there are three things you can do: you can read up about it, you can draw on your own experiences, and you can ask someone who’s an expert. I know of writers who do all their research at their desks, but I’m a great believer in getting out there. My second Von Valenti novel, Double Tap, has scenes set in a paintballing club. I decided to have a go myself, and I think the bruises haven’t yet faded. For Jack in the Box, I drew on my experiences of theatre-going in London (as the story is set in the world of the theatre). While I was down there, poking about the West End, the friend I was staying with (a social worker) suggested she take me round London at night. I can’t now remember all the places, but I saw a London that few tourists ever visit. I was struck by how young the male prostitutes were and decided there and then to make that world a strong theme in the book. I’m fortunate in that I’ve met many interesting and charismatic people, so I couldn’t resist having some of them in my books. I have enormous fun in starting with a person I know, and then adding or subtracting character traits to create a fictional character. My three godchildren have all appeared in my novels, and so has my niece. I worked in a university for several years, and there’s a wealth of material there. Whether any of them have ever recognised themselves is another matter! 8. Since you have started writing have any well known authors given you any advice? Both the tutors (Louise Welsh and Allan Guthrie, each an award-winning author) on one of my writing courses have given me the best advice. Louise’s session on characters and how to make them come alive is something that I refer to again and again. Allan’s sessions on removing unnecessary words and sentences, and making your writing clear, as well as his ideas on suspense and surprise in a novel, are like gold dust. I think it’s almost impossible not to let bits of yourself creep into your characters. If you feel strongly about something, you have to guard against letting a character go off on one, especially if that character may not feel quite as strongly about the same issue! Usually, though, the characters are nothing like me, and that’s part of the fun of creation. So, Jack in the Box is already out. The second in the Von Valenti series is called Double Tap and it will be out in April of next year. Von has now moved up to Edinburgh to be with her daughter and is working as a professional investigator. She is given a missing person’s, which gets entangled with the case of a murdered paintballer, a case that her old buddy DI Steve English is trying to solve. The two of them find their paths crossing, and soon become involved with a big US pharmaceutical company in Livingston. The Pork Butcher, the third Von Valenti novel, will hopefully come out the year after Double Tap. It’s set in the meat-processing industry, and begins with someone finding bits of metal in their sausages. DI Steve English is called to investigate what he thinks is a dirty-tricks campaign by a rival sausage manufacturer. Meanwhile, Von investigates the case of a little boy whose father, the owner of a pork-butchery company, has disappeared. The fourth Von Valenti, still in production (and without a title!) is also set in Edinburgh. An American comes to town to auction off his spectacular collection of Fabergé objects, including one of the missing Imperial Eggs. Meanwhile, Von meets a Russian billionaire, come to Edinburgh to attend the auction. He gives her an assignment, which is to pick up a parcel for him. When she arrives at the meeting place, she finds the contact has been murdered. The police suspect her, and she goes into hiding. 11. Out of all the Novels you have written do you gave a favourite one that stands out to you? It’s hard to say. I guess my favourite would have to be my first, Icehotel. It’s the one I wrote and rewrote the most, and it’s fair to say I honed my writing skills doing it. 12. As a well known crime writer do you have words of advice you can share? The best advice is: never give up. If you believe you can do it, then you WILL do it. But be prepared for a long haul as it won’t happen overnight. By all means, show what you’ve written to others to critique, but be wary of friends who tell you what they like and don’t like, rather than telling you what works and what doesn’t work. The two are not the same. Avoid like the plague those friends who try to tell you what you should write. The work has to be yours. Otherwise you’ll find yourself not satisfied with what you’ve produced, and you’ll give up. If you feel you need help, there are plenty of self-help books out there. Find one that works for you. And read as much as you can! 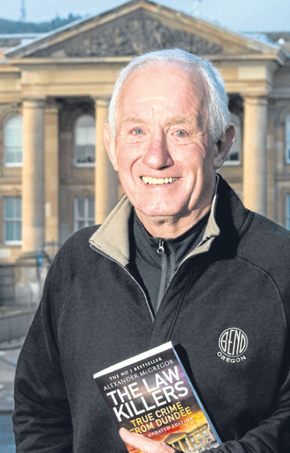 My first book, The Law Killers, was commissioned by publishers Black and White and was a true crime account of some of Scotland’s most notorious murders, all of which occurred in Dundee. I admire a number of journalists and authors, all of whom probably influence how I write. I’m currently enjoying another Lee Child book. I was in the extremely happy position of knowing The Law Killers would be published since it had been commissioned and with an advance paid. That is a luxury most first-time authors never enjoy and I am deeply grateful to have found myself in that position. Non-fiction and fiction are totally different writing experiences and both have their attractions. I found the former easier in some respects since it is really a form of journalism. But like in-depth newspaper articles, piecing together the facts contained in a true crime book involves considerable research and emphasis on accuracy. There is also a need to write fairly tightly. A crime novel is just the opposite. You make it up and stretch it out! Campbell McBride, the main character in Lawless, is obviously a bit of favourite because he is a news reporter with a Dundee background. Dundee was a natural setting because of how well I know the city. But it also seemed the right choice because of how enthusiastically its citizens responded to The Law Killers. It has also been home to some of the country’s most high-profile killings over the years and is currently the murder capital of Scotland on a per capita basis. In addition, it was a narrowly beaten finalist in the most recent UK City of Culture competition! Lawless was inspired by a baffling discovery made while researching one of the murders featured in The Law Killers. While examining the newspaper report of the trial of the killer in Dundee’s Central Library, I found that someone had used a razor blade to very carefully remove the photograph of the female victim, plus a single sentence from the report detailing how only one high-heel shoe had been found beside her buried body. It made no sense and still doesn’t. But this chilling and disturbing find seemed to call out for its use in a crime novel. Black & White, who were keen for a follow-up to The Law Killers, agreed, a deal was signed and advance paid.Using the cut library file as the linchpin for the book, I developed the idea that the unknown person wasn’t so much removing something from the file as leaving something behind—a message. Lawless was the result. The fictional Lawless did not require the kind of minute research of the factual Law Killers. The main ground work was a visit to Perth Prison and tour of a leading DNA laboratory, as well as some long chats with serving and retired detectives. A couple of the characters are actually real people who kindly agreed to me featuring them in the book. Many of the locations, pubs and so on, are also the real thing. The thinking behind that was to try to carry the true crime readers of my first book with me into fiction. Some of the other characters lean heavily on folk I know. But most are a bit of a mix of assorted people I’ve come across. A few, thank God, bear no resemblance to anyone I know. No. I wish they had. I borrowed a bit of myself to create Campbell McBride, the main character in Lawless. Since he was a journalist who had written a true crime book, it would have been impossible not to have had some connections. I think my wife is still trying to work out where McBride begins and I end! Wouldn’t want to commit myself on that…….situations pop up fairly frequently where you can see the basis for a novel…….. I was delighted at the interest in both books. The most recent edition of The Law Killers contains a significant number of new chapters compared to the original, as well as an updating of some of the earlier ones. 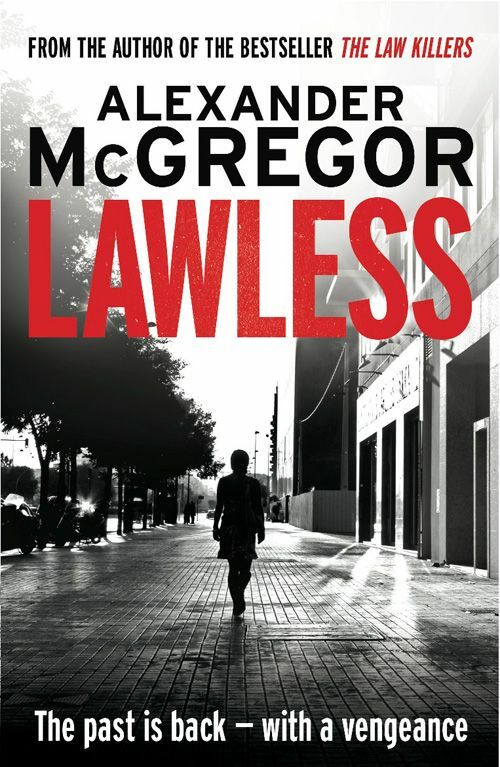 I decided to water down some of the bad language in the hardback of Lawless when I knew the paperback was coming out. Not entirely sure why. Maybe because I was never entirely comfortable seeing some of it leap off the page at me. The best advice to anyone contemplating a crime novel is to write about a serial killer. That way, if you’re running out of ideas you can just throw in another corpse! That’s especially true if you’ve been commissioned to write a certain number of words and taken the advance on that basis! Journalist Campbell McBride’s first crime book, “The Law Town Killers”, is a success but now it’s attracting some unwanted attention. McBride’s going to have to return to what, when he wrote about it, seemed like a straightforward murder case – a woman strangled by her boyfriend. Otherwise, somebody he cares about might be at risk. 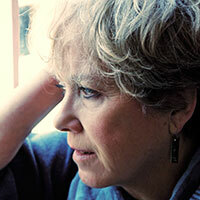 Soon nothing is straightforward – not for McBride. Somebody is cutting up newspaper archives before he can examine them. Are they trying to stop his investigation or are they trying to tell him something? Whether he’s being led or obstructed, McBride starts to think that an innocent man is in jail for murder and that there might be something significant about the black tie that was used to throttle the victim. Does it somehow link the crime to the police force? Does it show that the murder was just one in a grisly series of young girls strangled? If McBride can’t figure out what exactly has prompted these seemingly senseless, malicious crimes, then another person is due to fall victim to the killer. And this time it might be McBride’s turn to suffer at the killer’s hands. To celebrate the First Birthday of my Crime Fiction Blog There’s Been a Murder I am hosting a Event on Facebook at https://www.facebook.com/events/138984466271843/?ref=2&ref_dashboard_filter=upcoming on Saturday 31st May 2014 from 10am. There is going to be book giveaways and special appearances from some of the crime authors that have appeared on my blog in the last year. Already confirmed are Jenny Thomson, Chris Longmuir, James Oswald ,Zach Abrams, Emma l clapperton, Marianne Wheelaghan and Damien Peck. Well, I suppose writing fiction was something I had always wanted to try, so my first attempts were really writing ‘scenes.’ After that I started stitching scenes together, and gradually a plot emerged. Finally I built up enough courage to show someone, had some useful feedback and it went from there – but it was a long process of learning. Finding a body in an abandoned house immediately raises lots of questions – who? why? when? how? and provides a great way to explore different back stories and motivations. The body also served as the link between the two interwoven stories which make up Bhalla Strand. It was the idea of an unknown crime, and a body successfully hidden for decades which really kick-started me into thinking seriously about plot, and then the characters began to emerge. Useful things, bodies! I love the writings of A.S. Byant while The Tenderness of Wolves by Stef Penney and Bella Pollen’s The Summer of the Bear have been recent favourites. They are very different styles but in all cases I like the layering of stories, and how they pick up the threads of the past. And then, as the plots develop, seeing the characters begin to understand, and then deal with, events that have shaped their lives. I grew up reading, and loving, Daphne du Maurier’s books, and I still re-read them. The house and the island are fictitious places. I drew inspiration from a number of places in the Western isles, and then rearranged the local geography to fit the plot. The challenge then was trying to put something together that was convincing. 6. There are many interesting characters in your Novel, do you have a particular favourite one. I have to say it’s the artist Theo Blake, although he is the darkest. He’s also the most complex and he dominates everything. The characters in both the past and present stories are all seeking to understand him and what caused his descent from a passionate and famous young artist to a haunted man on the edge of madness. I tried to draw him very much as a product of his period and his class, with all the prejudices and attitudes of his times, and to show how these shaped his personality – and his destiny. So he’s a bit of dark force but I hope he’s not entirely unsympathetic. I also tried to make the modern characters in some ways echoes of their predecessors, with similar flaws and passions, translated into a modern context, so that they too become threads of the past continuing into the present. It really chose itself! The natural landscape became an important part of the plot. For years I’ve spent at least part of the year in the Hebrides and somehow the plot just emerged while I was up there. The islands have such rich seams of legend, personal struggle and class conflict to draw upon. I think it’s one of the most beautiful parts of the world, and this made it irresistible – open skies and wide horizons. And all those wonderful seabirds. 8. Would you prefer to see Bhalla Strand as a stand a lone novel or as part of a series. It’s a one-off plot so has to be a stand alone. 9. What kind of research have you have to undertake for your Novel. Doing the research was fascinating. I had to try and understand the period in general, what it was like on the Islands in the years leading up to the First World War, as well as getting to grips with current tensions for the modern part of the plot. In some ways there are parallels to be drawn between Edwardian issues and those of the 21st century, just as there are parallels between the characters in the two timeframes. So there was a lot of reading to be done, as well as a lot of just sitting in the sand dunes watching the sea and the birds, and letting the plot develop. No. But having said this I tried to draw the characters as being very much of their period and place in society. Victorian industrialists like Theo Blake’s father liked to spend their fortunes on lavish houses to show that they had made good, while their offspring could then afford to indulge themselves, as Theo did. The women of that class, on the other hand, had little sense of purpose and Beatrice ‘wanted more’. And all that was in the pre First World War context of a rising tide of resentment from those who had nothing – so the scene was absolutely set for trouble. In the modern story the conflict is between progress, development, need for jobs on the one hand and environmental and conservation concerns on the other, so the modern characters personify these different forces. Other writers and friends have been generous with their time reading early drafts and helping me learn; there is nothing like a fresh set of eyes on a manuscript and some good constructive criticism to sharpen things up. The seminars offered by the Writer’s Workshop were very useful in understanding and developing technique. The best, and most consistent advice I have had is to write every day, even if only a little, and to stick at it. It’s a long, but very rewarding process. Not intentionally, but perhaps inevitably. After all, like it or not, we see the world through our own eyes however much we try to see it through our characters’, so a bit of our individual perspectives get embedded into all the characters. The one I’m writing now opens with a murder (first line!) on a sporting estate in the Tweed valley in the last decades of the 19th century. 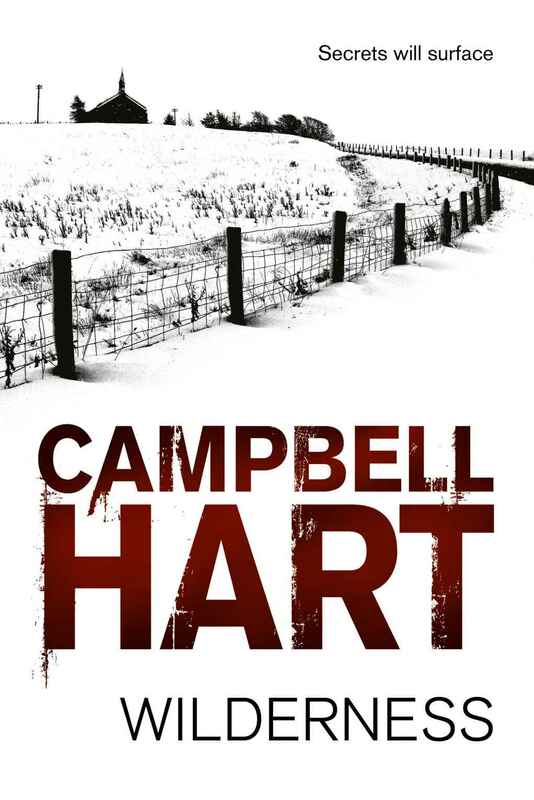 From almost the start the reader knows the killer and the killed but not why the murder was committed, and the plot becomes entangled in a web of lies which stretches from Scotland to Chicago, and then to northern Canada where matters are played out and resolved. It’s all about vengeance and settling scores, and again landscape plays an important role. 14. You are being already compared to some of the well known female crime writers, how does that make you feel. 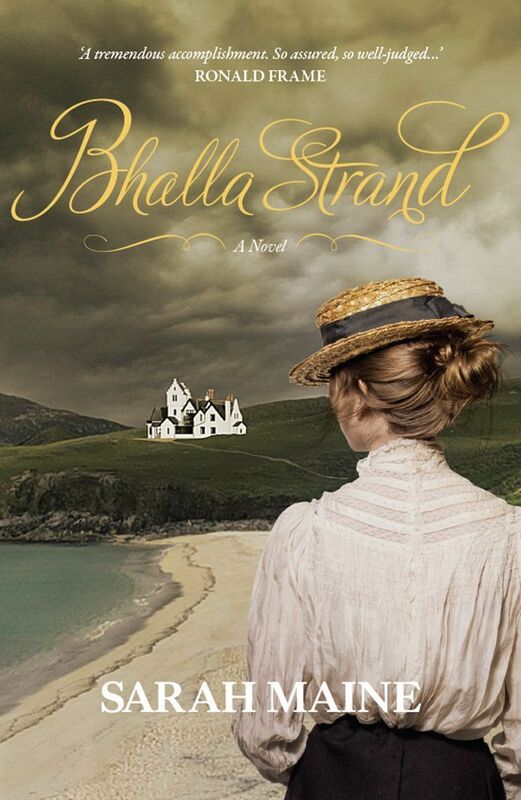 When one reviewer wrote that there were echoes of Rebecca in Bhalla Strand I was bowled over and incredibly flattered. Comments like that are very encouraging when embarking on a nerve-wracking second novel. 15. As an up and coming crime writer do you have words of advice you can share. Really, I can only pass on the advice that I was given. Read books you like twice – once for the story and then again to see how they do it. Listen to criticism, it’s probably justified, but remember it’s your story. As for the writing, stick with it and don’t give up. If it starts to go off track, leave that bit for a day or two and go back to it fresh. And above all, enjoy writing! A beautiful debut novel set in the Outer Hebrides, Bhalla Strand combines archaeology and dark mystery. In the present day, Harriet Deveraux returns to the family home of Bhalla House on a remote Hebridean island estate following the untimely death of her parents. Torn between selling the house and turning it into a hotel, Harriet undertakes urgent repairs, accidently uncovering human remains. Who has been lying beneath the floorboards for a century? Were they murdered? Through diaries and letters she finds, Harriet discovers that the house was occupied at the turn of the century by distant relative Beatrice Blake, a young aristocratic woman recently married to renowned naturalist and painter, Theodore Blake. With socialist and proto-environmentalist leanings Beatrice is soon in conflict with her autocratic new husband, who is distant, more interested in Cameron, a mysterious young man from the island. As Beatrice is also drawn to Cameron, a single kiss sets off a chain of events that will change all their lives, leaving Harriet to assemble the jigsaw of clues piece by piece one hundred years later, as she obsessively chases the truth. The body of a murdered woman is found washed up on Cramond Island near the mouth of the River Forth. Days later detectives are called to a flat in Edinburgh; the kitchen is covered in blood, and the occupier is missing. When the name of the woman from Cramond Island is revealed, it stirs unwelcome memories for those who knew her, Chief Constable Bob Skinner most of all. Now based in Glasgow, he has no reason to become involved in the case. Yet he does, unwittingly setting in motion a course that leads him to the toughest choice of his life, putting him in the midst of a personal nightmare, both life-threatening and career changing. 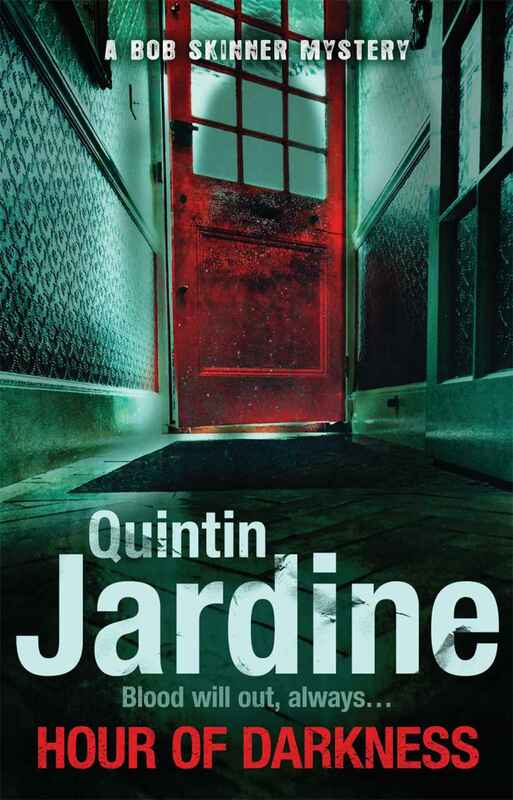 There is only one word that can describe the 24th Bob Skinner novel, Hour of Darkness by Quintin Jardine and that is OMG (Oh My God). If you thought that the last two novels Funeral Note and Pray for the Dying were amazing, then you ain’t seen nothing yet, as Hour of Darkness will blow them out the water. I can now see why the literary world have been calling this the best Skinner novel to date as it takes you on one of the best journeys of your life, it is a page turner that will have you engrossed until the end, keeps you on the edge of your seat, keeps you guessing right till the end and when you finally think you have the answers it throws everything you thought you knew upside down and inside out. Everything that you love about the Bob Skinner novels are present here, the way in which the author can juggle a multitude of different characters and make each one special and memorable to the reader. The way in which Edinburgh and the surrounding areas and in the newer books Glasgow are brought to life in the pages, where the readers can experience the darker side of Scotland’s cities and towns. The way in which the author can in corporate real life situations that face the police service and make them believable such as the new Police Scotland. The author also like to end his novel with a small cliff hanger that teases the reader and makes you desperate to read the follow up so you can find out what is going to happen next. So it just leaves me to say, can’t wait to find out what is going to happen in the next Bob Skinner novel number 25. Meet Martha. It’s the first day of her new job as intern at Edinburgh’s The Standard. But all’s not well at the ailing newspaper, and Martha is carrying some serious baggage of her own. Put straight onto the obituary page, she takes a call from a former employee who seems to commit suicide while on the phone, something which echoes with her own troubled past. Setting in motion a frantic race around modern-day Edinburgh,The Dead Beat traces Martha’s desperate search for answers to the dark mystery of her parents’ past. Soundtracked by and interspersed with a series of gigs from the alternative music scene of her parents’ generation in the early ’90s, Doug Johnstone’s latest page-turner is a wild ride of a thriller. 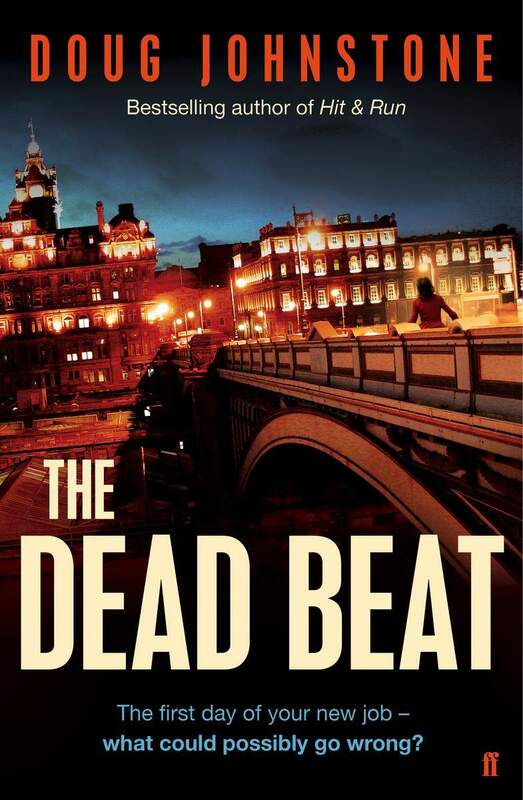 Calling The Dead Beat a wild ride of a thriller is definitely a understatement, as this the new novel by Doug Johnstone is far more that that. It is one of those novels that grabs your attention from the first few pages and then takes you on a journey that will leave your emotions all over the place, have your heart racing like a marathon runner, leave you without sleep and rest and leave you with the goosebumps for days on end. You the reader will also become a wreak as you leave everything else in your life to fall apart as your soul purpose becomes reading this novel to the end. And when you have finished you will be inclined to just go back to the first page and start reading it again, as it was the damm good. And what I hear you say makes the book so good, well to start with its the main character, this time Martha who is put through the ringer and seems to find themselves facing the worst kind of situations that can be thrown at you. Another reason is the way in which the characters interacted with each other and add to the overall story line especially in The Dead Beat as it see the reappearance of Billy Blackmore, last seen in Hit and Run who becomes a romantic interest for Martha. I personally love the way in which Doug Johnstone brings the character back stories to life and makes you feel very much a part of the action that is taking part in his novels and I also like that he incorporates real life problems that can affect people like family issues, depression. It just leaves me to say carry on the Good work Doug Johnstone, can’t wait to see what you will come up with next.